With Fieldgate’s recent new release at 90 Niagara and the groundbreaking at AXIOM, we’ve been getting really excited about our condo developments. 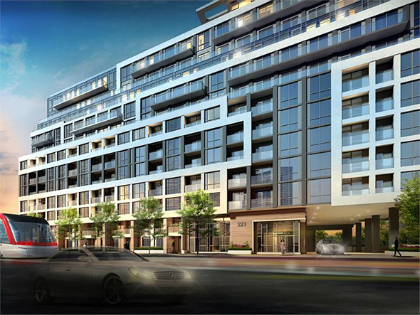 So, we are pleased to present our latest boutique condo, Zigg St. Clair West! n. An architectural structure having the form of a terraced step pyramid of successively receding stories or levels. 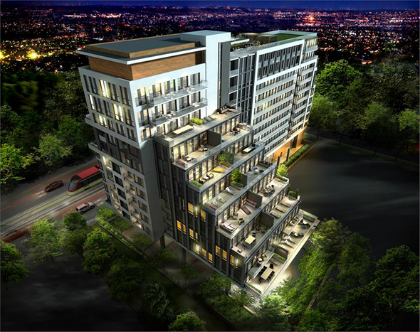 The unique terraced design of Zigg Condos will complement the tranquil streetscape of Forest Hill, making a strong impact, yet respecting the beauty of the existing architecture and natural surroundings. 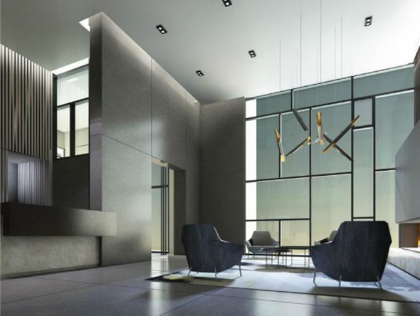 Zigg Condos will feature 1-3 bedroom suites, as well as a wide selection of townhomes. The suites range from 500 to 1,776 square feet and there are 166 in total. Zigg is a boutique condo, and while it may not be the tallest around, the building will still offer great views to the north, east, south, and west. Have a look for yourself! The photos below are of actual views from where Zigg Condos will stand. 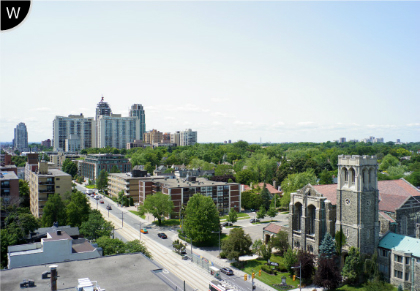 Located at 223 St. Clair West near Avenue Rd., Zigg Condos is within walking distance of all the neighbourhood amenities you have come to expect from condominium living. There are a number of restaurants peppering the area, as well as parks, places of worship, and the historic Casa Loma is practically across the street. The collection of townhomes and 3 bedroom suites at Zigg Condos will be perfect for families or those looking to start one, and parents will be glad to know that there are numerous schools in the area, from elementary all the way up to post-secondary. 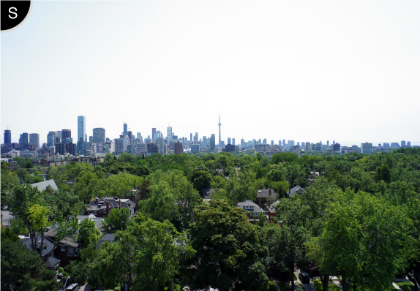 As far as shopping goes, there are many fantastic shops along St. Clair and in Forest Hill Village, and the high-end shops and luxurious gallery spaces of Yorkville are walkable on a nice day or just a few subway stops away. Also, east and west travel is a breeze with one of Toronto’s only dedicated streetcar tracks running along St. Clair. 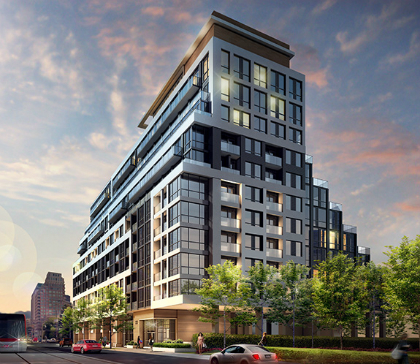 If you want to be the first to receive updates and priority invitations for Zigg St. Clair West, register here!